Femme Flora Genesis child theme features a logo which enables to add a beautiful graphic along with the site title and site tagline. All the three things beautifully compliment each other — the graphic acts as the identity for your site, site title represents the name of the site and site tagline defines the purpose of the site. You can change all these settings via Femme Flora Design settings panel. Log into your WordPress Dashboard and locate: Genesis > Femme Flora Design. 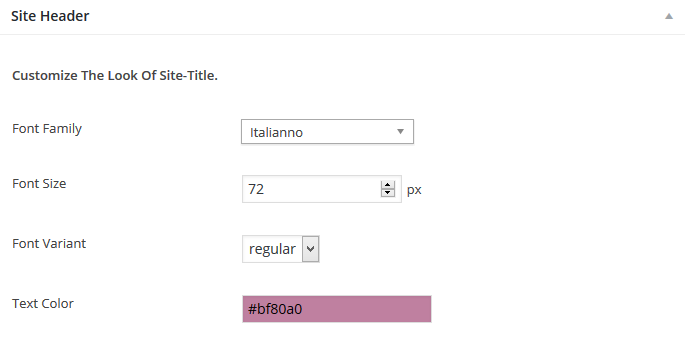 Last but not the least, to add your custom graphic, you need to add a little CSS magic. To place your new logo image, just upload the new image to WordPress using media library. And add the following CSS to style.scss here: /wp-content/uploads/lander-user/style.scss (put all your custom CSS here and your custom PHP (if any) into functions.php in the same directory). In case you still have issues with setting up the logo, feel free to contact me via contact form here and I will be happy to update the logo for you.